Science has been slow to investigate the the root cause of the longevity of designers. While no conclusive evidence exists proving designers live longer, we are sure that it is true; due to the fact that we keep going and going. Why not see the reasons below why we believe we live longer? We are so passionate about design that we constantly think about it from the moment we wake up in the morning until the moment we go to sleep. We even dream about it through the course of the night. We become obsessive to the point where it causes issues with our partners. These days I can’t go out on a romantic date without analysing the menu. They look at you wondering why you have to do this everytime we go out ,but you can’t help yourself, it’s just the designer in you. We have a fired–up purpose and that will be the reason for us living longer. When we are working on a new project that is going to change the world it makes our lives worth living for and makes our lives longer. We have tight deadlines that make us work long hours as well as personal projects on the side. There is no time to go out for a drink so our chances of getting liver or heart disease are lower. We only ever drink at events where you meet other designers who we can learn something from. We have the ability to laugh more than other professions due to having to deal with bizarre clients with outlandish requests. Learning to laugh is a requirement of being a designer. Laughter helps us cope with our jobs and our clients without going crazy. Research suggests that the more you laugh the longer you live. You learn to laugh when a client wants you to design a site without any content instead of getting mad about it. When you would rather want to say to them get out of my office you are wasting my time, instead, you say no; why don’t we discuss the content of the site and the purpose of the platform before we start designing. Researchers have found that people who watch TV for more than one one hour a day can shorten their lifespan by 22 minutes. We are always looking for the next job, or interacting with a designer on Twitter, or taking on a personal project, which means that we don’t have much time to watch tv. When we do have time to watch tv we will watch a movie or two and play a video game. Yes, even designers need some downtime because we are not robots. After the 10th change for a client, they don’t just feel like clients to us. They’re people with a vision, a desire, and an end goal. It feels good to help people realise their goals because that is what our job is all about. When you help other people out it already increase your chances of living longer. You can go further and reach out to a local charity and do something design related to them and even teach them your skills. Luckily we don’t have to handle dangerous substances or lifts heavy objects on a daily basis because it will probably kill or injure us. The heaviest thing we lift on a daily basis is probably our laptops. That still doesn’t mean the design is not hard work. 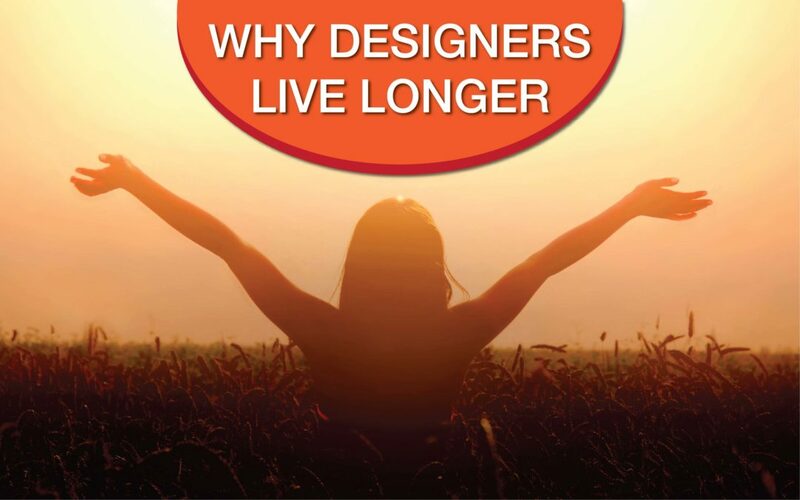 Even though science has been slow to investigate the root cause of the longevity of designers we have found reason we believe we live longer. We live for design so that means we can’t stop thinking about design and design follows us everywhere we go. We have no time to go for a drink and socialise. So that lowers our chances of getting liver and heart disease. Research also suggests you live longer the more we laugh. As designers we will live longer because we laugh to cope with our job and our clients. Watching too much TV can shorten your lifespan. Luckily as designers we don’t have much time to watch TV. We love helping out other people and that increases your chances of living longer. We live hazard free as we don’t lift heavy objects or handle dangerous substance that can kill or injured us. So now you know why we believe we live longer than regular people. 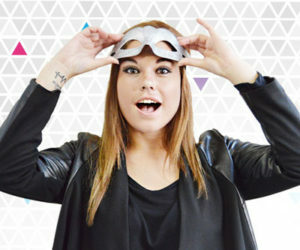 Bio: Jacoline, also known as “Jacky, “ is our quiet designer who keeps to herself. Even though Jacky is quite quiet, it doesn’t mean her mind doesn’t race with design ideas . Jacky loves spending time with her family and getting caught in the rain. She’s partial to the occasional Pina Colada too.